Thank you to Katherine Broomfield (@KathBroomfield) for producing the latest ResNetSLT blog post. As a speech and language therapist I accessed networks that were directly related to my clinical area. I joined special interest groups/clinical excellence networks and attended meetings to access shared learning and information which informed my clinical practice. With regards to broader networks, I couldn't really understand how people outside my organisation or specialism would be able to help me within my role as a speech and language therapist. When I started my PhD in April 2017, and living 200 miles away from my University, I realised I would need support that I couldn’t access in my local, rural environment. I started scouting about for sources of support on the internet and I found other clinical academics were discussing their research, clinical interests and wider concerns via social media. I wanted to join in, but I wasn't really sure how to start. I lurked, liked, commented and finally found the confidence to join in the Tweetchats hosted by ResNetSLT. Inspired by the people I was connecting with in my new virtual-networks, I became more engaged on Twitter and started writing a blog. I was delighted when my blog post about clinical academic careers ignited an impassioned conversation on Twitter, and was honoured to be at the inception of @ClinAcSLT – a Twitter network for speech and language therapists (SLTs) who want to pursue a clinical academic career. At the beginning of April, a few SLTs who had been part of that twitter conversation, and who are engaged some form of clinical-academic activity, met at the Royal College of Speech and Language Therapists (RCSLT) in London to discuss how this new network could address some of the issues and concerns raised during the Twitter chat. The @ClinAcSLT meeting consisted of SLTs with a variety of clinical and academic experience. As a group, we were keen that any new network should complement those already in existence. ResNetSLT, established by Dr Hazel Roddam, is primarily an online forum offering free access to research news, viewpoints and resources. An action group now runs the monthly Twitter discussion forum for exchange of perspectives between individuals at different stages of their career, with the aim of supporting clinicians in evidence-based practice. The Twitter group has engaged with an international audience and with clinicians from a range disciplines. The RCSLT Research Champions network (RCSLT members only) represents a range of SLTs from those who are research-interested clinicians to professors with established research portfolios. The aim of this network is to help SLTs find training and to provide a mechanism for cascading research information from the RCSLT research centre to its members. 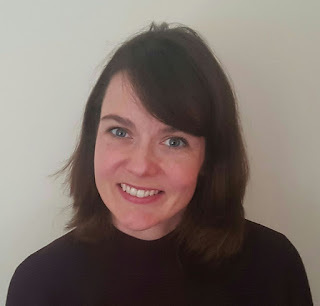 Fellow Blogger, SLT and NIHR research fellow Anna Volkmer talked about local, university-based networks, such as the Research Generator Workshop at University College London, that aim to support clinicians who have ideas for research projects and who want to identify next-steps. As a group we identified some of the funding bodies and pathways that can enable clinicians to engage in research such as the NIHR, MRC and charities such as the Stroke Association. Representation can be an issue within these organisations however. The NIHR does not yet have an SLT advocate who could support SLTs to access their clinical academic pathways. Most of the large research-funders are health-focused which can make it difficult for SLTs working with children or in education to access grants. Despite some progress being made in the development of training pathways for allied health professionals there are still very few posts that span academic and health organisations, i.e. truly clinical-academic roles. We identified that a Clinical Academic CEN (clinical excellence network, supported by the RCSLT) could help to address some of these issues by sharing the collective wisdom and achievements of existing clinical academics with a view to developing an infrastructure that will help others in future. Regular meetings could provide a forum for SLTs to explore funding pathways, provide face to face mentoring and support individuals to develop research ideas. The network could also be part of a strategic drive to formalise a clinical academic career structure for SLTs. There are networks developing in other countries, such as #DrSLP in Australia, who are encountering (and trying to counter) the same hurdles as us. We discussed how we could reach out to these networks to learn from one another. The main action following the meeting was to share the discussion and Clinical Academic CEN plans via our networks. We aim to present @ClinAcSLT at the RCSLT Research Champions meeting in July and will use the blogosphere to link our collective audiences to this post and other related resources. Check out Anna Volkmer’s blog about the inception of @ClinAcSLT. We will use Twitter to get some feedback on our final proposal and use social media to collect stories from people at various stages of their clinical-academic careers so we can learn from their experiences. If you have any thoughts about whether a CEN would be a valuable addition to the networks that exist to support SLTs interested in research, do get in touch. (This post was adapted from one which first appeared on Katherine’s blog in May 2018).